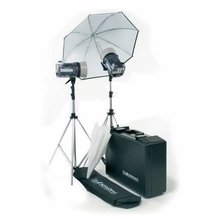 Photo strobes are traditional flash or strobe lighting that photographers use during still photography shoots. 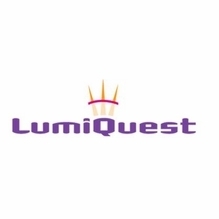 BarnDoor Lighting carries a selection of Bowens, LumiQuest, Elinchrom, PocketWizard and Profoto flashes for beginner and expert photographers. 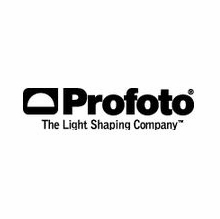 Profoto is the premier professional brand of photo lighting, and their selection includes high-end photo studio lighting and off-camera flash products which provide the best and most reliable color over the life of the flash tube. 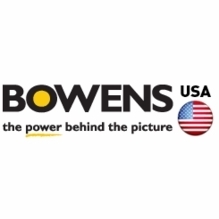 We offer studio lighting, which uses a flash head with a cable connected to a generator (a power pack), to provide greater control and much more power or light output. 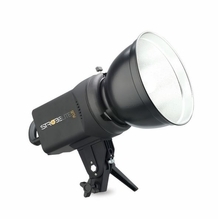 BarnDoor Lighting also carries monolights, which are smaller and less expensive, but the light and power pack is combined into one unit so you don't have to worry about dealing with cables. 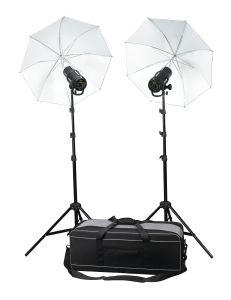 Monolights are best for fast-paced location work or those who are budget-conscious. We can also help you find the right off-camera flash. Typically used on top of a camera, these lights also work well as off-camera flashes so that the angle creates more modeling. 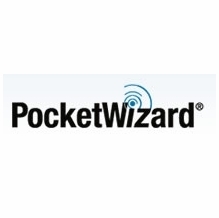 These flashes are small and lightweight and feature new technologies such as High-Speed Sync that allows the photographer to work at higher shutter speeds. As an added bonus, many on-camera flashes are battery-powered for extra portability and versatility. BarnDoor Lighting has been supplying professional lighting services and products for over 20 years, so we're more than happy to assist you with your flash lighting purchase. Give us a call today at 1-888-276-3667 or e-mail us at info@barndoorlighting.com for one-on-one customer service.